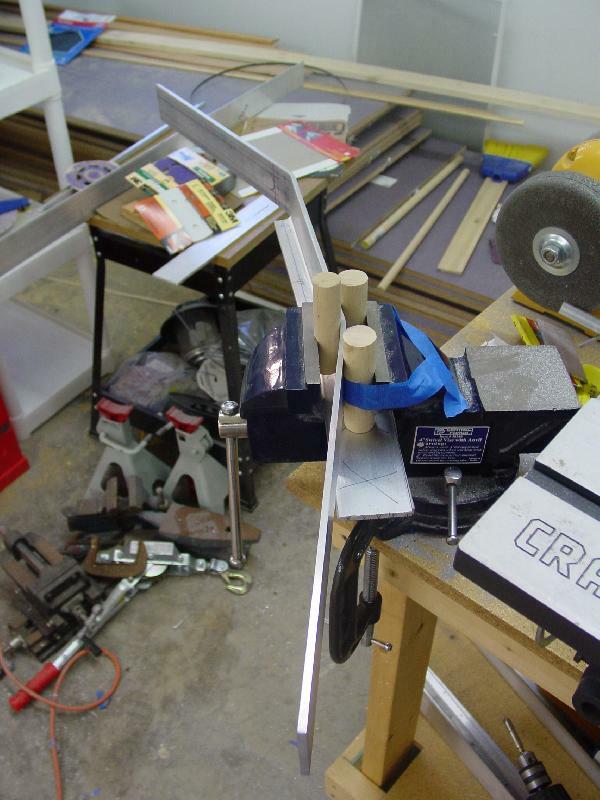 The following example illustrates how I tackled the job of forming the bends in the front horizontal stabilizer spar, T06-03. There are several different approaches to this, including some pretty neat bending brakes designed specifically for this job. However, my method was quick and easy, and worked great! 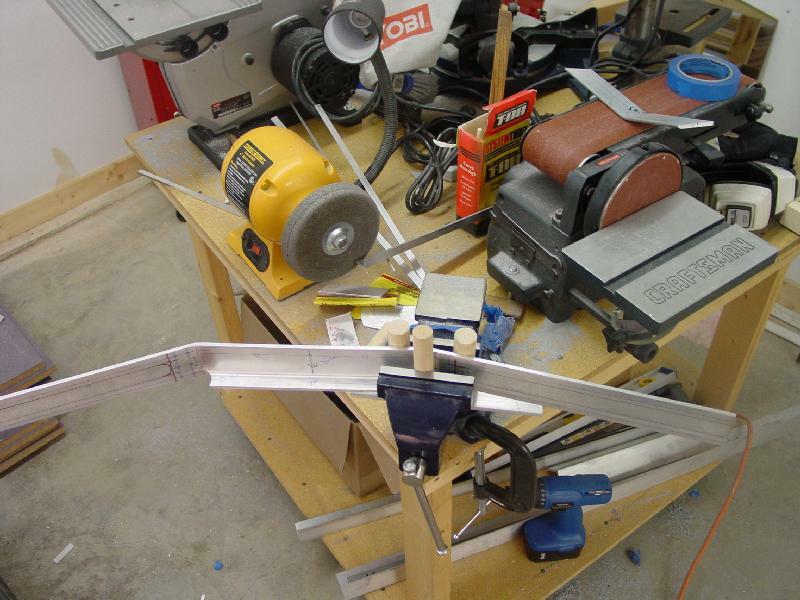 The idea is to use hardwood dowels as mandrels in the vise to create the bend. Here, you can see the outer two and center dowels already working on the spar. The center dowel forms the bend radius. 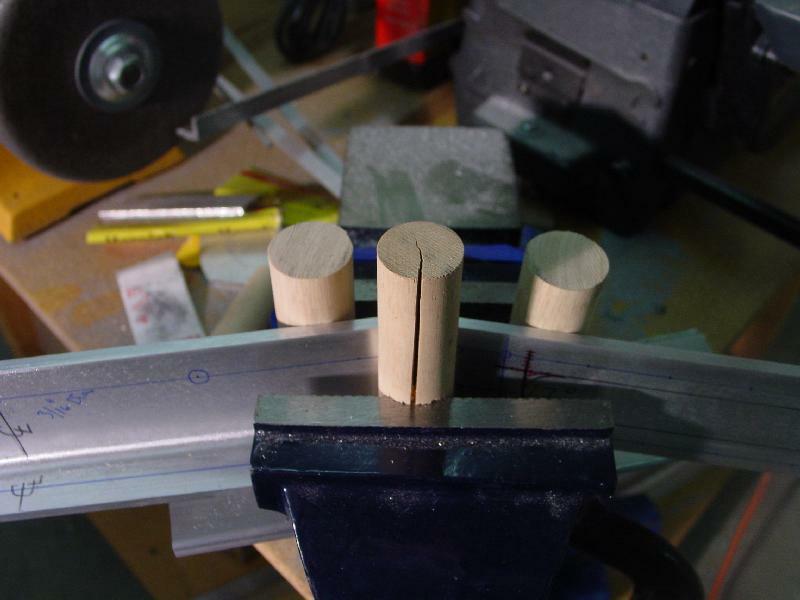 You may notice that the center dowel appears smaller than the outer two. It is. 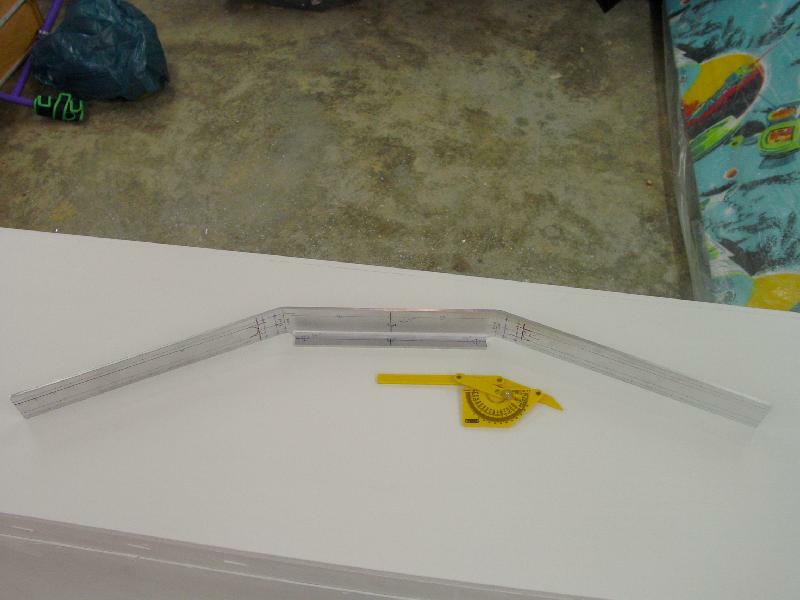 My test bends indicated that 1" dowel was too large in diameter to produce the 1/2" bend radius called for in the plans. By switching to a 7/8" diameter dowel, the bend radius was correct. Here is the reason why. 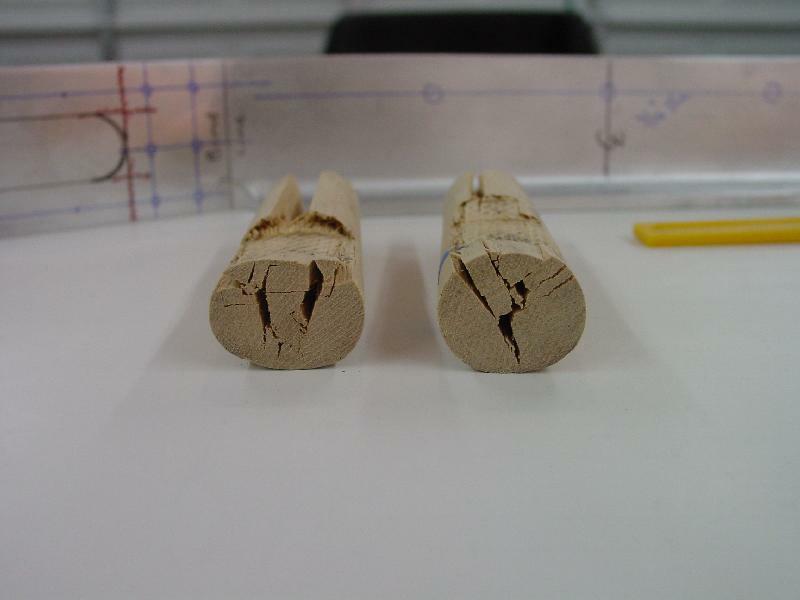 The dowel is deformed during this process (to put it mildly!). The dowel was split as the vise was cranked down. Here, the bend is about half way finished. Full bend complete. 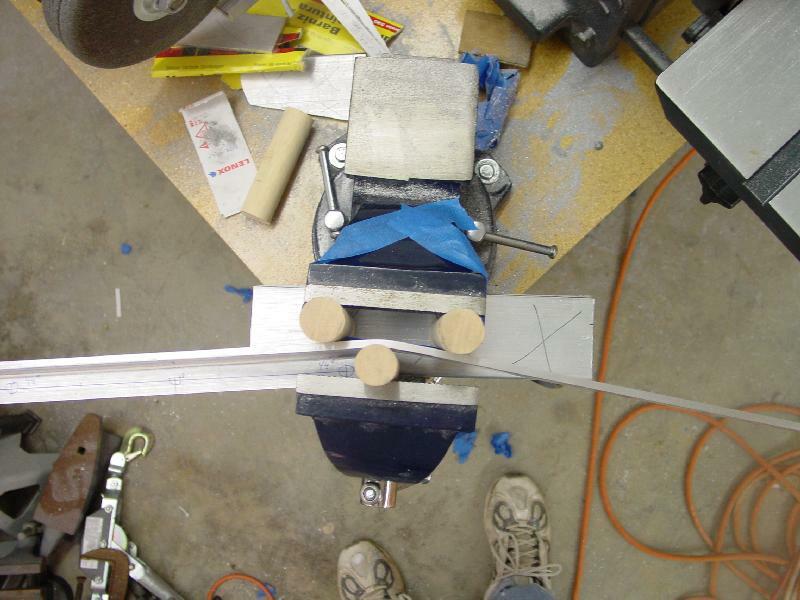 The aluminum will spring back after removing it from the vise, so over bend it about 10 degrees to compensate. Fine-tuning of the bend can be done by hand once the part is out of the vise. Dowels after bending each side. 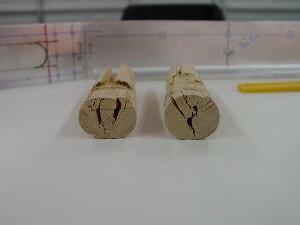 One side crushed more than the other due to the orientation of the grain in the dowel. 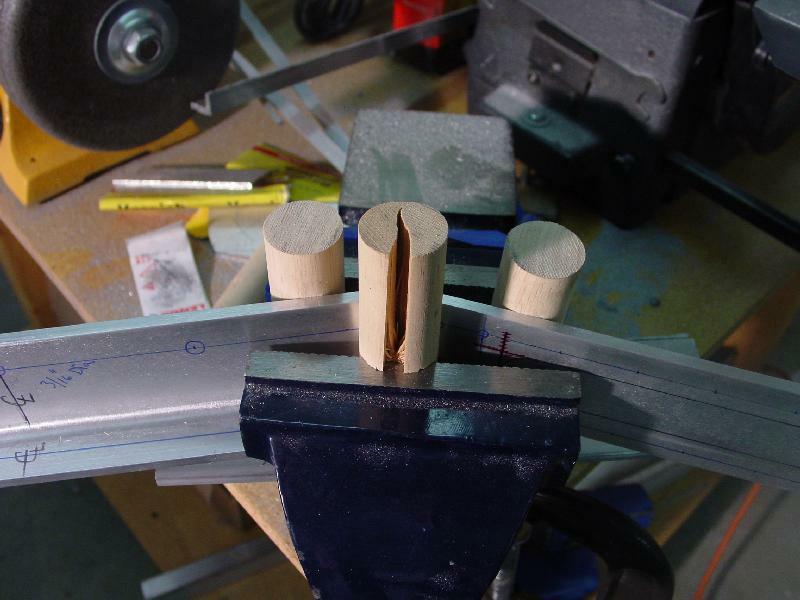 Lesson learned: orient grain parallel to the vise jaws.